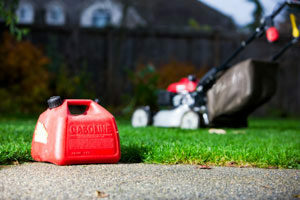 Never store an engine, big or small, with an empty fuel tank. True, some manufacturers recommend this step. This is because leaving old fuel in an engine for weeks or months at a time can cause serious damage. But draining fuel is a safety and environmental hazard. Residual fuel could be ignited by a static charge. Rubber hoses, gaskets and seals could dry-rot and crack, which can lead to leaks and even fire. Condensation can cause moisture to collect, resulting in rust or corrosion. It’s a safety, health and environmental hazard. Even a small gasoline spill can contaminate soils and wells over a quarter mile away. Transporting flammable liquid is a safety hazard. 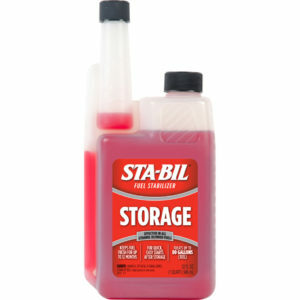 What to do instead: Treat gasoline with fuel stabilizer. All of the above risks can be eliminated with one easy step: Treat fresh gasoline with STA-BIL® Fuel Stabilizer which keeps fuel fresh for up to 24 months. Take a few extra minutes to follow our simple instructions for safe, proper storage and quick, easy starts next season.